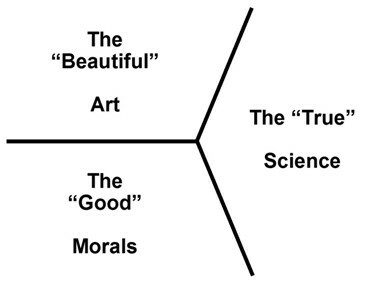 Sciblogs | Is there a role for science in morality? In our discussion of the science of morality commenters often assert that science may be able to describe why and how we are moral but it cannot make moral decisions for us. Or tell us what is right and wrong. Sometimes these commenters have their own motive — a covert or overt interest in promoting a religiously determined moral code and they don’t want another discipline intruding into ’their’ arena. At other times they may be reacting to a simplistic interpretation of the role of science. This is common in criticisms of The Moral Landscape (and Harris did not help by using the subtitle “How Science Can Determine Human Values”). In partial mitigation of Harris’s position he does make clear, often, that he is using ’science’ in a very general sense — including philosophy and history. But the fact is human morality is now a very live area of scientific research and discussion. This is generally about how our morality works and its origins, and not using ’science’ as such to prove a moral position. But there is no doubt that an awareness of the science of morality may actually influence moral decision-making, particularly during public discussion and deliberation. Science indicates our morals are not simply ’relative’ (anything goes depending on our own feelings) or ’divinely’ commanded (our god tells us what is right and wrong — just accept it), or based on tradition. If that is publicly accepted then the proponents of ’divine’ commands, tradition, or relativism will have less influence on our moral deliberations.